Most of us now have electronic medical records. We’re using them in the hospital, we’re using them in our office, we’re talking to each other, and more and more healthcare systems, hospitals, insurance companies, pharmaceutical companies, the pharmacy—we all talk, and we talk about the important patient information that we have. How do we do it? What’s coming down the line? Hi, I’m Dr. Brian McDonough. Welcome to Primary Care Today on ReachMD. I have 2 very special guests today. First is the Chief Medical Officer of Independence Blue Cross, Rich Snyder, and also the president of a company called HealthShare Exchange, Martin Lupinetti. I’ve known both for quite some time, talked to them in the past about various topics. Martin Lupinetti has been involved for a long time in this burgeoning and now right-here world of healthcare information and transferal of information. A lot of questions to ask, and first of all, I want to welcome you both to the program. Oh, it’s great to be here. Dr. Snyder, I know, if I recall, you’re a family practice doctor, you’ve gotten involved in trying to promote healthcare, done it through the insurance industry, and we’ve kind of gone through the whole realm of people partnering in hospitals and all these different things. Have you seen the transfer of healthcare information getting better, and what have you seen, maybe, in the last decade about it? So, yes, I do think that it’s getting better. Here in Philadelphia we have a virtual Venn diagram of overlapping health systems where, seemingly, on every other street corner there’s some healthcare delivery facility, including multiple medical schools and a number of health systems with multiple hospitals. The problem we’ve had in the past is that information resided in many places, but it was not aggregated in any form that could be usable to decision-makers, including the patient or the physician. In Philadelphia, we set out on a mission 7, 8 years ago to change that, and the focus being that we wanted to improve healthcare, we wanted to bring all available information to the point of care where a physician/caretaker of a patient, whether it’s in the emergency room, in the hospital or in a physician office, could have access to the records. And we have set about working with our healthcare systems and large provider groups to build a health information exchange that now, as a matter of routine, is moving data around to the point of care. How about you, Martin Lupinetti? What about your take on it and what you’ve seen, as far as getting from here to there? I think in this market, Brian—to Dr. Snyder’s points—that this was a market that really wasn’t quick to embrace data sharing, as the states that surround this area really moved on this sooner, and that became really a benefit to this market because we were able to really learn from New Jersey, Delaware and other states that were deploying this in all various types of models given geography, stakeholders, patient population and so on, and we really started to do this, kind of building trust as we went, really starting with—and your audience may be familiar with Direct Secure Messaging or encrypted email to really send health information, and then we graduated from that and started to push information based on transitions of care, graduated from that and started to do alert notifications when patients were appearing in ED or inpatient or somewhere else in the healthcare ecosystem. And now we’re sort of at this point where we’re aggregating data and can do a lot of unique, valuable things for, not only the provider, not only the health plans, but also the patient. Rich, you bring up a good point. I’m going to give it my perspective as the end-user. As you know, I practice down the road. For those listening, I practice in the state of Delaware. Delaware, actually, was one of the first states to really get active in health information exchange, and they developed a product called the Delaware Health Information Network, which initially was, I guess, a public-private combination effort with the government where they actually started early on sending health information back and forth. And in many respects it has been amazing, but I’ve seen issues, and this is an issue I want to bring up and see—I don’t know, see, I don’t practice in Pennsylvania—what it’s like, but the one thing that I see is worse, perhaps, than it ever was before, especially when we were in the paper world, is we don’t get laboratories reliably or know where the labs are always coming from. Sometimes we do, but depending on things like LOINC codes and all these other things, if it’s one of the drug companies or the public drug companies like a Rite Aid or one of those guys, if they’re sending information out or somebody else is sending information out, or hospitals are, it doesn’t always get there, and the end-users don’t get them, sometimes, until 2, 3, 5 days later. And then, depending on what EMR they’re using, it might get kicked back. Now the DHIN, the Delaware Health Information Exchange, all it is is a conduit. It takes information that’s fed to it; it sends it out. It’s not their fault because they’re just pushing it through; they’re not making decisions. But what happens is, it doesn’t always get there because, whether they’re on the receiving end or on the sending end, there’s some error. Maybe a name’s too long for somebody’s system when they enter it in. Maybe the LOINC code’s wrong. Maybe there’s a middle initial when there wasn’t and it doesn’t match up in Allscripts or Nextgen or Cerner or, you know, you get the idea. What have you guys done in your world to try to correct that and reduce those potentials for errors? Because I think that’s what I hear around the country. And I’m not picking on the DHIN—the DHIN’s been amazing—but around the country that have had those errors. From an error perspective, or at least from a technical perspective, I’ll let Marty address that. But from the very beginning, one of the things we focused on was not just making healthcare exchange be a conduit in and of itself. What we wanted to do was to build use cases that support physicians who are trying to take care of patients when they’re taking care of patients, so one of the earliest things that we did was provide to HealthShare for each physician office and health system, submit a master patient index of the patients they’re caring for. And similarly, Independence Blue Cross and the other payers that are involved submit a list of our members and all of the physicians connected to those members to HealthShare. We then harvest ADT messages coming in through our Encounter Notification Service such that when a patient arrives in the emergency room, it is possible within seconds for Independence Blue Cross to attach a CCD with up to 4 years of clinical history, including diagnoses, lab results, current medications, etc., and send it back to the emergency room or the admitting physician in the hospital. That’s how we tried to get around some of the latency in data. Right. And that’s brilliant! By the way, again, we have physicians listening, so they know, but that is very exciting, because what it really essentially does is it allows, if you’re in an emergency room and you’re, let’s say, a patient or your patient has gotten CAT scans in 3 different EDs, well, they can put an end to it—much like the PMP does with narcotics. It does a search, a crossover, and says, “Wait a minute. You just had an MRI of your back. You don’t need another one,” that sort of a thing, or maybe the doctors can look at it and say, “Wow, they’ve never had an MRI of the back. They might need one.” And you can use that sort of data, helpful. And the DHIN does that in Delaware, and the National Health Information Networks we have do that, but it all depends… We’re in this complex world now, and maybe Martin can address it, of, again, if you’re not locked into one of these networks where everybody’s a part of it, it either goes to the cloud and it’s pushed out, or it’s pulled in, and depending on who’s participating and how good their EMR is, it may or may not get that information. And we see that even in our own healthcare system where I work around the country. Some are better than others depending on where they work. And it is as good as the quality of the data, and these are data feeds. Rich mentioned ADT messages. There’s continuity of care documents. There’s radiology reports, laboratory results and so on. And I mentioned our evolution a little bit different than many. We didn’t run at creating a warehouse of data. We did very pointed, to Rich’s point, of use cases or services, and now we’re starting to aggregate more of that data. We were very successful in getting the entire hospital community involved in this and providing the data and agreeing to this data use approach, given that they all could get benefit if they were all in. So to your point about gaps and some folks not providing, we’ve got essentially everyone in this community providing, which is a very powerful thing. And then, we also spent quite a bit of time on quality. Quality of the data. Right? The better the data coming in, the better the service on the other end. And we also do, a little bit different than some other HIEs, we do deep integration into EMRs. We’ve encountered probably 35+ different EMRs, and now that we’re into post-acute care and so on, we’re seeing a lot of different kinds of flavors of EMR, but we are embedding the information right into the EMR. And every EMR, to your point, is different, and where it goes is different, and where they get the information is different, but they don’t need to log into a separate portal or click a link or anything like that. It’s part of the clinical document that they’re viewing for that patient in their EMR that they’re using. It was kind of another thing we’ve done that was a bit of a learning, given we were a late arrival. And I remember going to HIMs and things. Pennsylvania was essentially behind and was struggling, and this has been a major development. By the way, talking about our audience around the country, what’s being done, and the reason why I wanted to talk to both Rich and Martin is that what we’re talking about here is something that is critical because we’re talking about transition of care, interoperability, and the patient in the hospital, out of the hospital. You talked about it. Like skilled nursing facilities, going home, for all those things to work and to work well, the information has to be able to transfer throughout all areas, so the home nursing agent has to know as much as they know at the skilled nursing facility, as does the primary care doctor. And those handoffs, the med req, as you talk about, the data, the clinical summaries, those things have to get there, they have to be accurate, and they have to be complete, and they can’t come out differently depending on what computer you’re using and what it appears to be like. And it sounds like you’re able to do that, and now what you’re doing is extracting data, if I’m not mistaken, using that data to improve care because you’re getting groups of people as well as individuals. That is correct, yes. And we actually have employed… There are some rather sophisticated tools and capabilities that really monitor the quality of data, so before we go live with any new feed or any new data, we send it through that. It scores it, it looks at the specific fields, the codes, and so forth, and we make sure that it reaches the level we believe is sufficient to really drive the value or service on the other end. We only have a couple of minutes left, and obviously, this is a complex topic, and already I can see you’re starting to get a clear handle on what to do. What do you see as the future? Because let’s face it, we’ve gotten through the last 20 years—and I know a lot of people who work in healthcare have taken a beating and said, “The banks can do this, Apple can do that, other people can do this. Why can’t we get our health information?” It’s very complex. Just the fact that you said you could get the hospitals in Philadelphia to talk is an amazing achievement in and of itself. So, saying all of that, what’s the next step? What do you see happening in Philadelphia and around the country to keep going on this pace to improve care? From a clinical perspective, there are a couple of things. Number 1, Philadelphia is a hub for healthcare delivery, so more people come to Philadelphia than leave Philadelphia to get healthcare, so we need to get connected to the communities around that are referring patients into Philadelphia. And we’re making some progress in that into South Jersey. There are also some interesting geographic and seasonal observations that we’ve made. Lots of Philadelphia folks go to the New Jersey Shore for the summer and receive care in New Jersey Shore-related hospitals, and so we are trying to link them to HealthShare in the same fashion as we have connected all of the community in Philadelphia. But what I think is really important for the next steps in where we’re going are for health systems to make the commitment and the investments to have the data flow, because obviously there’s a lot of customization in electronic medical records that permits or prevents exchange of clinically important data realtime, and so what we’re finding is sort of a stepwise fashion where a health system will get connected and then iteratively improve upon their ability to send information. There are some political barriers as well, sensitivities about giving information to competitors. They can largely be overcome when you realize that in a risk-contracting environment, there’s a potentially better clinical outcome available when you do share information realtime, even if it is with a competitor, to take care of your patient while they’re in their care. So, I think technology needs to be improved, hospitals and health systems and physician groups need to make the modifications to their systems to exchange data, and we need to expand the net to include all of the catchment area that refers care into our region. Well, Dr. Snyder, I think you summed it up great. Martin Lupinetti, I want to thank you for joining me as well. It’s been a very interesting and fast-moving 15 minutes. Thanks so much for taking the time to join us on Primary Care Today on ReachMD. I really appreciate it. 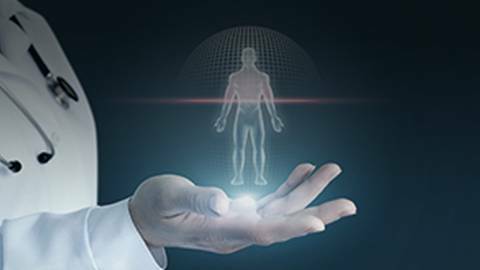 An astounding electronic evolution is continuing to improve healthcare and the transfer of information. How will data transform your patients’ care? First there was paper, then there were traditional electronic health records…so what’s next? Well, more and more states across the country have been diligently working on the development and implementation of health information exchange, bringing all available information to a single point of care. Join Dr. Brian McDonough as he dives deep into the database with Rich Snyder, Chief Medical Officer of Independence Blue Cross, and Martin Lupinetti, President of HealthShare Exchange.